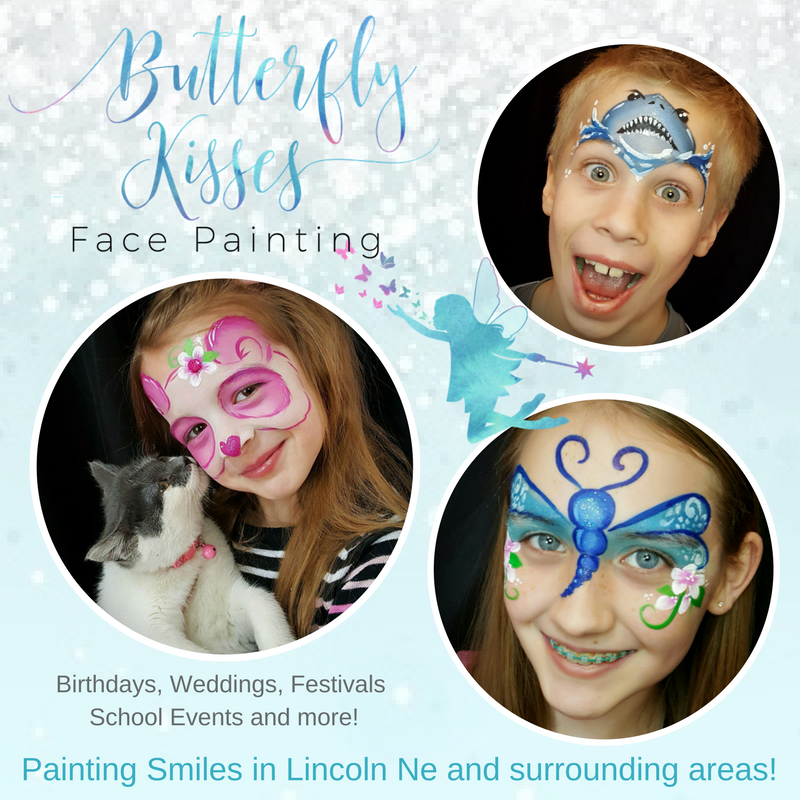 Face Painting and Glitter Tattoos for Birthday Parties, Weddings. Carnivals, Grand openings, School Events & More. I use professional high quality, washable face paints for bold, stay put color. 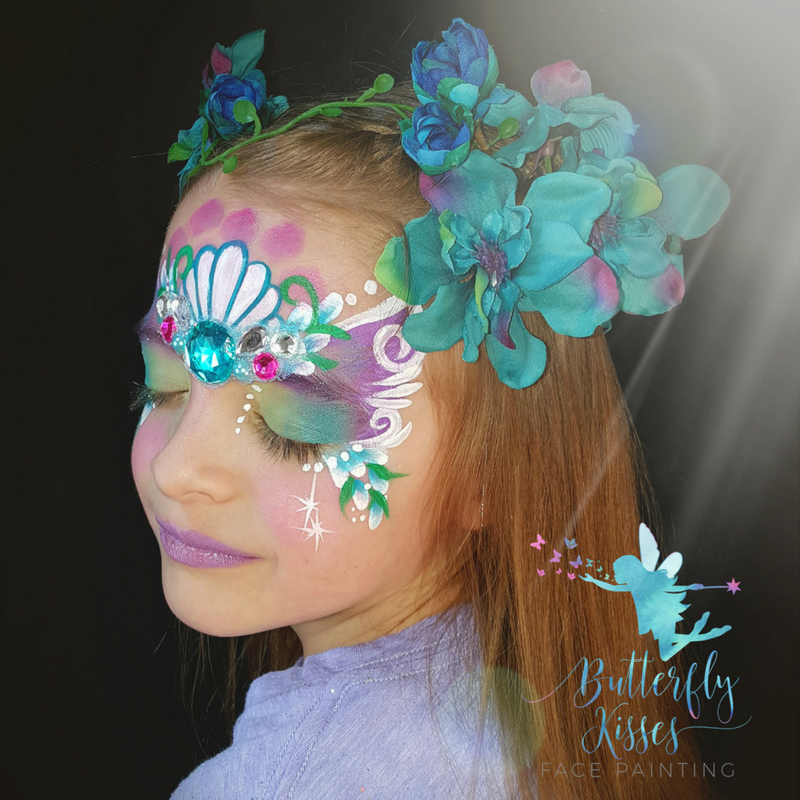 My face paints are water based, and dry to a satin and smooth finish that doesn't crack! Every design is as unique and special as the faces I paint them on! My favorite part is when I hand a little one the mirror to see their finished face! Thanks Deborah, I had so much fun face painting at your amazing party. Please think of me for future events. We can do approximately 10-25 faces an hour, depending on the designs, or approximately 8-10 full faces per hour-per painter, 12-18 half faces or 18-20 fun eye designs. For larger and Carnival Events, we can bring our quickest designs, and do 18-25faces per hour, but design choices will be limited. Simple designs work better for squirmy little ones, but we do our best to make every child feel special! We provide our own table/case, chairs or stools and design board all we need is a place to set up. We need approx. a 6 x 6ft area to set up. We also do school events, craft shows, etc We also have a 10 x 10 shade canopy we can use for special events, and parties. We need approx a 6ft by 6ft area to set up.